Apple, one of the staunchest opponents of U.S. government efforts to conduct digital surveillance on its public, on Tuesday publicly denounced the efficacy of the Cybersecurity Information Sharing Act, or CISA, just days before the bill goes up for vote in the Senate. In a statement provided to The Washington Post, Apple reiterated concerns that initiatives like CISA undermine basic public privacy rights. "We don't support the current CISA proposal," Apple said. "The trust of our customers means everything to us and we don't believe security should come at the expense of their privacy." Apple's efforts mirror those of other tech giants like Google, Facebook and Yahoo, which spoke out against CISA through a trade group called the Computer and Communications Industry Association, as well as individual firms Yelp, reddit, Twitter and the Wikimedia Foundation. Apple and its CEO Tim Cook have on multiple occasions challenged government snooping operations, saying strong encryption policies without exceptions for law enforcement are the only way to ensure a totally secure environment. 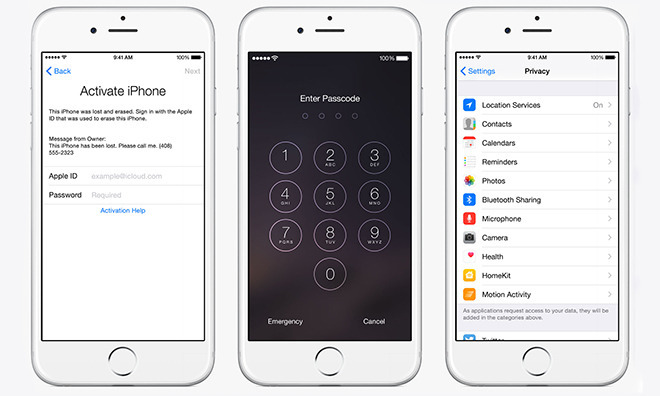 The company introduced such encryption practices in iOS 8 and continues to implement safeguards in iOS 9. Apple today informed a federal court that it is incapable of extracting data from locked devices running iOS 8 and iOS 9. Earlier this month, Cook discussed data privacy at length on NPR's "All Things Considered," saying that strong encryption is a key tenet for Apple. Proponents of CISA, like co-sponsor Diane Feinstein (D-Calif.), claim the legislation is not an attempt to surveil Americans, but is instead meant to help companies share information pertinent to cyber threats. Personal user data does not figure into the equation, Feinstein said. But CISA has its fair share of opponents in Washington, including Sen. Ron Wyden (D-Ore.) who characterized the bill as dealing more with surveillance than security. "Sharing information about cybersecurity threats is a worthy goal," said Wyden. "Yet if you share more information without strong privacy protections, millions of Americans will say, 'That is not a cybersecurity bill. It is a surveillance bill.'" According to the report, CISA supporters estimate the initiative has enough steam to win approval with about 70 votes in the Senate. The bill will go to vote next Tuesday.